Microsoft Surface Book 3 Laptop comes with Windows 10 Home 64-bit Operating System, 8th Generation Intel Core i7-8650U or Intel Core i5-8350U Processor, ticking at upto 4.2 GHz clock rate, 8GB or 16GB 1866Mhz DDR4 Memory and up 256GB / 512GB / 1TB PCIe SSD Solid State Drive internal storage. 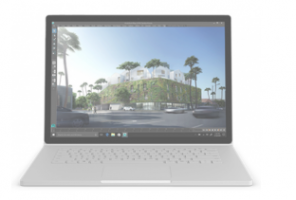 Microsoft Surface Book 3 Laptop also has DTS Sound,Integrated stereo speakers, Microsoft True Vision web cam, Microphone, Full Size Backlit Keyboard with numeric Detachable keypad. The Laptop has 13.5 inch or 15.0 inch screen size, 13.5 inch screen 12.13 x 8.79 x .57 inches or 15.0 inch screen 13.5 x 9.87 x 0.568-0.90 inch Physical Dimension and 2.83 lbs weight and 4-cell Lithium-ion Battery. The Microsoft Surface Book 3 Laptop will start Expected Price $1500 in USA when it launches within the Few Month 2019-2020.